Rebuttal No. 2: World popularity: Beatle songs have been done on panpipes ... have MJ's? When we posted the original link to Jamie Freedman's question about whether Michael Jackson was more popular than the Beatles or Elvis Presley, and then our rebuttal, we didn't anticipate the vigrous debate it would stir up in the comment sections of the two posts. She has posted a second rebuttal, basically saying that while the Beatles were popular in many parts of the world, in some parts, such as Third World nations, Michael Jackson was more well known. Here's a good question: How many cover albums of Michael Jackson songs are out there? A quick search on Amazon.com for "Michael Jackson tribute" brings up less than 10. Search for "Beatles tribute" and you come up with 156. And those are the ones still in print. And the styles on Beatle cover albums available range from symphonic to reggae to bossa nova to bluegrass to acapella to soul to blues to classical guitar to jazz to pan pipes and even to church pipe organ. Given that range of styles, would you say the Beatles weren't known everywhere and much more so? As Jamie said, she respects the Beatles and we, in turn, respect Michael Jackson and wish his family the best. . But there will never be anything like the Beatles. Michael Jackson was certainly a dynamic talent to be reckoned with, no question. I've heard many fantastic opinions and facts commenting on whether Michael Jackson was more popular worldwide than The Beatles. I guess Elvis and, as one smart lady suggested, Frank Sinatra are out of the running. Really, this is a ridiculous comparison since you can't compare the world music industry of the 80s to that of the 60s. The world is a different place, record distribution and radio/television is different and music is itself, of course, totally different. 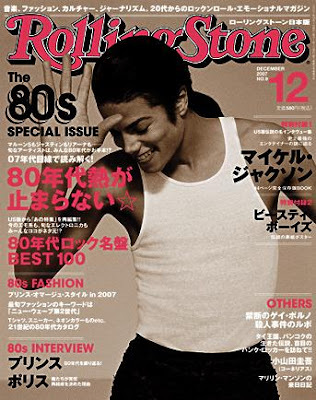 Read my original post "Was Michael Jackson more popular worldwide than The Bealtes or Elvis?" here. Read the counter rebuttal "No, Michael Jackson was not more popular than The Beatles" from The Beatles Examiner here. My response to Beatles Examiner Steve Marinucci is this: you, and many others, have spent a lot of time quoting record sales and musical influence; unfortunately record sales equals popularity in this world of music we live in. I personally don't own any Michael Jackson records (I'm a much bigger Beatles fan by the way) and I know all of his hits. All of them, word by word. Read more of my Examiner.com article and some of the fantastic comments that readers have left arguing one side or the other. So my little article here posing the theory that Michael Jackson was more popular than Elvis or The Beatles that I reposted in Examiner.com has caused a little bit of a flurry. Check out some of the responses I received and this rebuttal from The Beatles Examiner: No, Michael Jackson was not more popular than The Beatles. What's so funny about this to me is that it was just a theory I had. I'm a HUGE Beatles fan. Anyone who knows me or has read my blog for a little bit knows this. I've taken University classes, I've written and given papers at conferences, I have lots of books and posters... hell, I've got a blog (and hopefully a book eventually) inspired by The Beatles. I wrote my freaking undergraduate THESIS on The Beatles. I love me some MJ, but not like I love me some John, Paul, George and Ringo. No way. The comparison of MJ's popularity to The Beatles or Elvis (or Sinatra) is ridiculous. You can't compare the music industry of the 50s/60s to that of the 80s. Although many of you have brought up some terrific points. My point was really that in the third world, where folks don't have the financial means to buy records, there is really no way to account for "fandom" and "popularity." So what is popularity if it's not based on numbers? Like I said you don't need to own any MJ to know his music, the same can be said about The Beatles. Their music permeates every corner of our world. Michael *was* more popular. Past tense. That hasn't been true in almost 20 years, though. I actually really agree with you. Or at least I scoff at the knee-jerk orthodoxy of the opposition. The fact is, the Beatles are much more hallowed among 1) older music critics and 2) white people. The rest of the world, I call it a wash. Didn't MJ transform the 80s into HIS decade? The other writer makes a big deal about MJ fading in his later period both in musical output and personal troubles, but post-heyday repertoire from former Beatles was often lackluster as well, and who gives a damn about his scandals? Or, is it all the more telling that we celebrate him so in spite of them? I think, Jamie, for those born after 1970, Michael was almost unquestionably bigger. for the boomers, The Beatles were bigger. I do believe it's a generational thing. 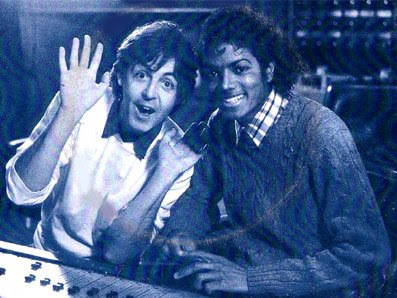 Great shot of Paul and Michael, though. Michael Jackson the most popular artist in the world? I have a theory that Michael Jackson is the most popular musician in the world, more popular than Elvis and The Beatles. I'm not saying that more people have heard of him than The Beatles or Elvis, but that he has more DIEHARD fans across the world that LOVE his music and idolize him. I once read a story (and now the image is left in my memory) of a man somewhere in the world on a camel with a huge boombox blasting some MJ. I wish I could remember where I read that. 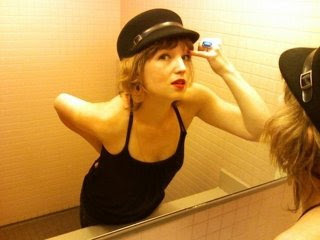 I also heard a story on NPR yesterday that a reporter was at a party with people who were too cool to dance. The DJ, desperate to get the party started, played an MJ track and everyone started dancing. Then he played another and another and another and worked the crowd into a frenzy. Even if you don't own any MJ, you will know it. Please let me know what you think of this theory. Especially if you do not live in the Western/first world. I'm interested to know. 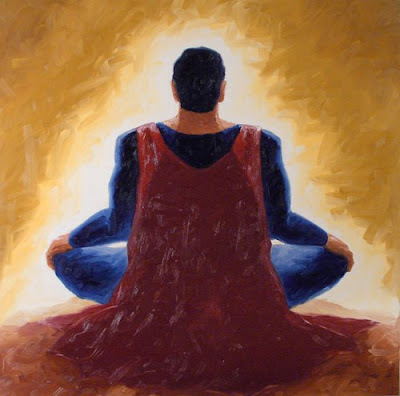 One thing is for sure, the guy led a tough and misunderstood existence. But he brought the world some amazing music and will be greatly missed. Thanks for the grooves Michael! Please share any stories that you might have of being far away from Motown and seeing or hearing some Michael Jackson in a unexpected place. I'd like to know. So after I posted the original article on Examiner.com, the Beatles Examiner posted this rebuttal. What I noticed about all of the folks who disagreed with me is that no one really understood what I was saying: record sales, money, music industry stuff and ratings prove NOTHING when we're talking about third world and non-western countries. But folks kept quoting numbers and charts. So I wrote this counter-rebuttal and then the Beatles examiner wrote this second rebuttal. It was fun. My post received a lot of hits and many many of people yelling at me and each other. I still hold true that Michael Jackson is the most well loved entertainer in the world at this moment. We can look at this topic again in ten years and re-evaluate. I am not meaning to compare Sharon (Jones) to Aretha, but I love both of these woman. Thank you Aretha for paving the way for women like Sharon and thank you Sharon, and her Dap-Kings, for picking it up and funking it out. Thanks to Milena for inspiring me to post this. Being about the same age as Mr. Mawhinney, I can tell you that there is quite a bit of music from my younger years that is not available on CD or any format except vinyl. The first flat record came out in 1881 and CDs didn't come around until the early eighties. Some of the stuff from that first 100 years has been released on CD and MP3; but MOST of it hasn't been. Without a turntable, you ain't listening to it! I just came across a site called Mortified: angst ridden that is "a comic excavation of the strange and extraordinary things we created as kids. Witness adults sharing their own adolescent journals, letters, poems, lyrics, home movies, stories and more." What we love most about this clip is how much fun he seems to be having. For those keeping score, Chunk (aka: Jeff Cohen) did somewhat end up pursuing a career in music. Today, he's a successful entertainment lawyer. And according to the Hollywood Reporter, he's a damn good one. His firm reps lots of big name entertainers including, yep... songwriters, labels and music publishers. I love this guy. I also heard at one point that Jeff was on the cheer squad at UC Berkeley, the crowd wanted him to do the truffle shuffle. I don't know if he did or not, but he was thin by then, and it wouldn't have made any sense. I have an urge to watch the Goonies. Right now. I always get a wave of pride when I hear of a fellow Michigan Music School alum making music in the big bad world successfully. Being a professional musician is not easy and I know many people, including myself, who have decided that was not the route for them. So those that have taken that route get much respect from me. My favorite success stories right now are that of Lauren Molina and Leah Dexter. Both of these fine ladies were voice students with me at the University Michigan. Molina started off an opera major and then switched over to musical theater. Between you and me, she could have been an opera singer, she has a gorgeous mezzo-soprano voice. But the girl can sing, dance and act, which makes her a prime music theater suspect. And she's been working it on Broadway. Right now Molina is in the hit production of Rock of Ages with American Idol alum Constantine Maroulis. I randomly caught this clip of the show on the Today Show the other day. Molina plays the character Regina, you can spot her as the curly blonde with the big glasses and a long green flowy skirt. She was recently in the Broadway production and the touring production of Sweeney Todd and originated the role of Johanna where she also played the cello. Chances are, if you caught this production while it was in town, she was in it. Molina is also a singer/songwriter and has a CD album out called Do-Bee-Do. which is full of quirky folk/pop songs like "Marriott on Wheels" and "Rollerskate"
Leah Dexter on the other hand has gone the opera route. Also a mezzo-soprano, she was a vocal performance undergraduate and master's student at the U of M and has since performed all over the United States and Europe. Dexter has travelled the country singing recitals of pieces by female African American composer and is currently preparing for her next project and dream role, Carmen. Currently she is in the San Francisco production of Gershwin's Porgy & Bess. 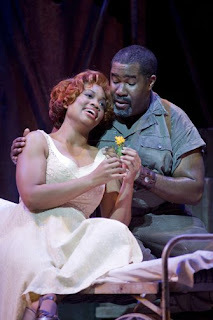 Check out my article about the San Francisco production of Porgy and Bess, Dexter helped me fill in some of the holes. I know a bunch of other people that are working it out in the real world. This could be a fun column to do every now and then to help support my peeps. 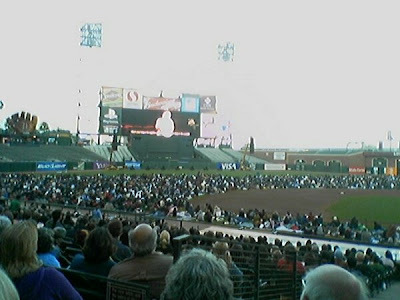 Last night I went to see the opera Tosca shown live by telecast at the AT&T ballpark in San Francisco. The production was actually taking place live in the San Francisco Opera House. 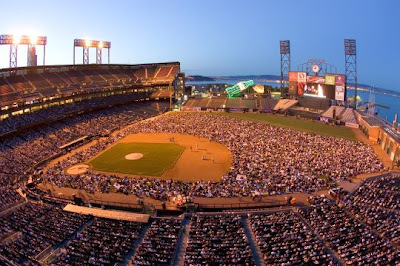 Several times a year, the ballpark opens its doors to thousands of people FREE OF CHARGE to watch a live opera. I heard this year 27,000 people showed up, the most people attending this event since it's inception a couple years ago. What a unique and bizarre way to watch a show: blankets, beers, wine, sandwiches, popcorn, scarves, whatever. It was even weirder noticing that right above the huge digital screen was a Budweiser ad. The audience booed at the villain, cheered with the heroine and tried not to yell at people who were talking to loud. The next live telecast will be on September 19th at 8pm. The opera will be Il Trovatore by Verdi. I HIGHLY recommend that you check it out if you can. Even if you're not sure if you like opera. Maybe combined with the ball experience, you will ease your way into it. Go to the SF Opera website for more information.